This voluntary project could only be undertaken with sponsorship. We are extremely grateful to S+P Architects for their support. Indeed, as leading international sports and leisure architects they are the perfect partner for the Leisure industry stalwart S+P has a long association with sports & leisure design. Recent projects include the London 2012 Olympic Aquatics Centre, and the Abu Dhabi Sports Village. S+P has designed numerous sports and leisure centres over the last 27 years, ranging from Coral Reef, Bracknell to K2 in Crawley. S+P is currently working on the UK’s most environmentally aware Sports Centre in Exeter. S+P’s origins grew out of Gillinson, Barnett & Partners (designers in 1976/77 of Europe’s largest public leisure centre, Crowtree, Sunderland). Their successors, Sargent and Potiriadis, were pre-eminent leisure architects in the 1970s and 1980s. 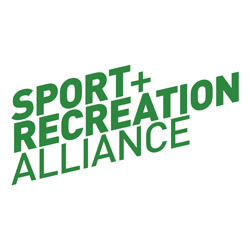 The following professional organisations welcome this project: CIMPSA, CLOA, SPORTA, Sport and Recreation Alliance, and BAQUS. 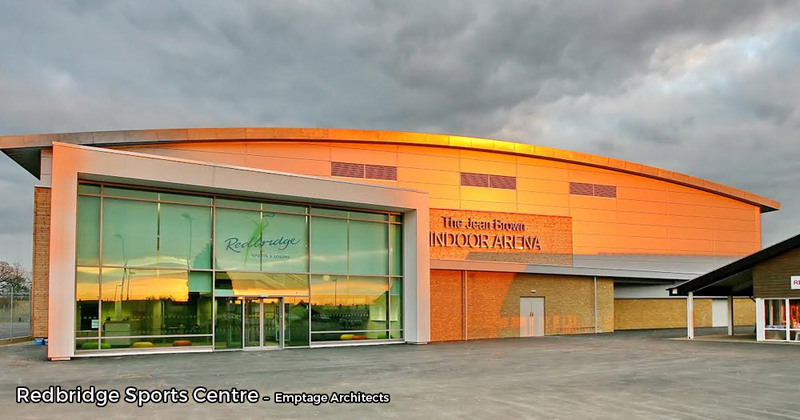 We are on the pivotal point of the history of the UK sports centre. I became a manager in 1973, edited the profession’s ARM News for 6 years, opened Europe’s largest leisure centre in Sunderland and worked with many excellent managers and a host of sports & leisure centres across 30 years. I knew the very earliest managers and am in touch with some of them now as well as present day managers. We want to make an excellent record of the UK sports centre, its activity and people, for both past and present sports managers. We therefore invite anyone with information, pictures, cuttings or stories or anecdotes from the management and development of centres over 6 decades to contact us. 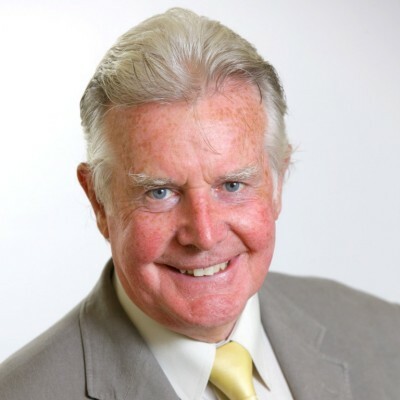 I started in leisure management from teaching in 1970 at Basingstoke Sports Centre, alongside Bill Breeze and under the tutelage and guidance of Bill Leadbeater, Director. The Basingstoke centre was one of the first to be provided as part of a large shopping complex, as part of the ‘new town’ development. I have worked alongside centres over the last 5 decades as a centre manager, director of leisure and consultant. Having entered at a relatively young age, I believe I am one of the few practitioners able to remember the early pioneering days and their managers. 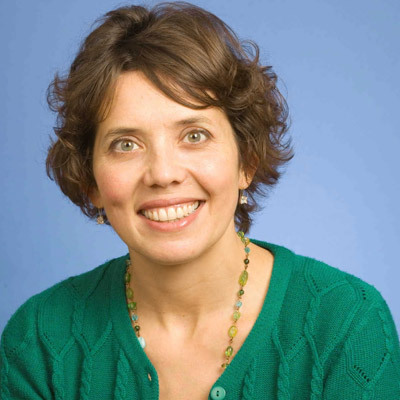 Joanne is a Masters graduate in Tourism from Surrey University and a Senior Associate of L&R International Management. 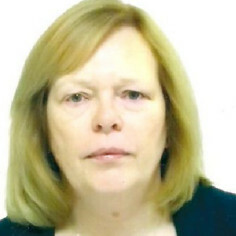 Joanne joined L&R Leisure plc in 1988 and worked for L&R International MD Ltd for 17 years. Joanne has been involved in many leisure and tourism consultancy projects, including sports & leisure centres in Liverpool, Harlow, Catterick, and at Leventhorpe Academy, and in successful lottery grants for centres at Budmouth and Mark Hall. I welcome this project and congratulate the Editorial Group on bringing the story together – a valuable legacy for generations to come. Did two years training at St Lukes College Exeter from 1948 then returned in 1953 to complete a third year as a P.E. teacher. Taught in various schools and colleges for 10 years before moving into management, firstly as Principal of the Leeds Athletic Institute, and then appointed the first Director of Billingham Forum in 1967. After 6 years, moved to Northampton as Chief Leisure and Recreation Officer for the Borough Council and did 15 years before retiring in 1988 at the age of 59. As a so-called ‘founding father’ of sports centres and recreation management, and having started out in the field in 1964 by making use of an old 1863 school by converting it into one of the first sports activity centres (the Leeds Athletic Institute), I’ll happily try and recall some of the history and development of leisure management from that time. 1956-66: 10 years teaching PE and youth and community work in Worcestershire. 1966-69: Manager Breeze Hill Sports Centre, Oldham. 1969-71: Director, The Grove Sports Centre, Newark, 1971-74 Manager Bletchley Leisure Centre. 1974-95: Assistant Director(Recreation & Leisure) Milton Keynes Borough Council. As one of ‘the few’ – the first sports centre managers – I am delighted to lend my support to “Harlow to K2 and Beyond”. I remember well those early, adventurous days. I saw the shift from the earliest sports halls, to the start of joint provision in Nottinghamshire, and to the first UK public centre with a leisure pool at Milton Keynes. Bletchley set a new standard in quality provision (Remember the real palm trees, slide and jet stream!). I was also in at the very start of the Association of Recreation Managers. All great for communities – let’s keep it going! 2000-2014 Saudi/British Sports Programme, UK Events Manager. RETIRED if allowed to be! Many congratulations for pursuing the history of the UK Sports & Leisure Centres! It is a brilliant idea which will not only serve those still working but places on record the history of the development of a much taken for granted facility which benefited the communities throughout the land over the last 6 decades. I know we have lost a number of our working colleagues over the past few years but their memories will live on in this record of achievements. Vice Principal of Leeds Athletic Institute (1967-69). 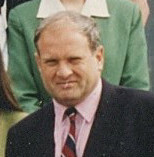 First Manager of Deeside Leisure Centre (1969-74), Director of Leisure Services for Deeside and Hertsmere Councils, Foxhills Golf and Country Club and Sky Blue Connexion (Coventry City FC). 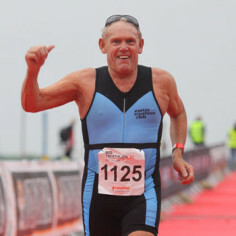 Currently Chairman of the “Senior Reds” at Exeter City FC and age group triathlete. As a ‘game changer’ from the past I’m pleased to pen my recollections of the pioneering days in ‘leisure management’ in the hope that it might contribute to promoting inspiration and innovation in the future. John Williams Teacher trained at the City of Leeds College then Carnegie College of PE from 1954. He then became Head of PE at a Nottingham school from 1958. 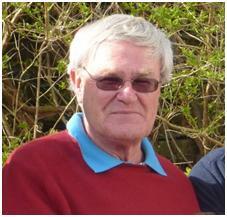 John joined Geoff Bott (then Principal) as Assistant Lecturer at the Leeds Athletic Institute in 1964. 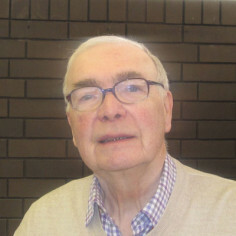 In 1967 he followed Geoff to Billingham Forum to become Deputy Director of that unique centre. 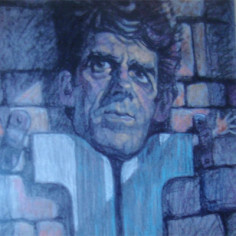 He followed Bryan (Griff) Jones as Manager of Bletchley Leisure Centre in the new City of Milton Keynes in 1975. 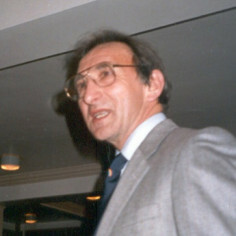 In 1983 John took early retirement following a local authority reorganisation. As one of the earliest sports and leisure managers and a founder member of ARM, I am delighted to hear of the Project and am pleased to give it my strong support. Both Billingham Forum and the Centre at Milton Keynes were, in their time, at the cutting edge of sports & leisure centre development and I am pleased to have played my part. Trained at Loughborough as a P.E. teacher (1951-54). After teaching attended Carnegie before joining the CCPR as Research Officer in 1965. Was responsible for the first research on Indoor Sports Centres. Transferred to new executive Sports Council 1970. Chief Leisure and Cultural Services Officer Waverley District Council 1974. Re-joined Sports Council in 1980. Regional Director, Greater London and South East. 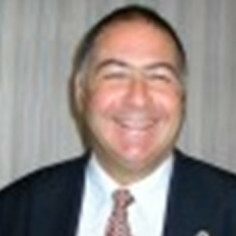 Director of Regional Services 1986. Retired from Sports Council 1994. 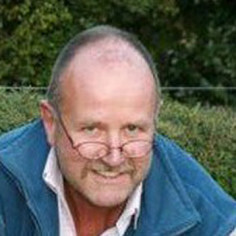 Director Second Innings Leisure Consultancy 1994-2004. Having lived through the past 50 years of sports development I would be delighted to give you some reminiscences from the early days of Sports Council, Sports Centre and Leisure Management. It is important that we don’t forget the Pioneers in a profession that did not exist 50 years ago. Managing Director, John Turner Leisure Marketing. 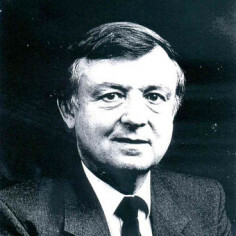 John Turner’s consultancy with ARM from 1975 to 1980 was the catalyst for his involvement with the UK leisure market – an involvement which continues to this day. Originally responsible for the publication of trade directories, featuring different parts of the leisure industry, he currently specialises in providing market intelligence for leisure industry suppliers for mailing, emailing and telemarketing purposes. These services are promoted under the brand of Leisure Lists. Nearly forty years ago I was appointed to the Association of Recreation Managers (ARM), responsible for the organisation’s administration, marketing and income generating activities. During this time I had the pleasure of working with a great band of aspiring leisure centre managers, many of whom developed to become chief leisure officers in their own right. 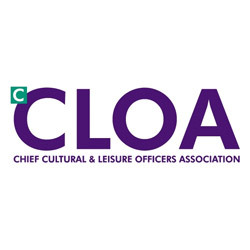 The current profession owes a lot to those talented individuals including Roger Quinton, Dennis Woodman, Alec Collins, Gerry Carver, Ian Douglas, David Fisher and Geoff Gearing (to name but a few) who developed the status of the leisure profession to what it is today. These achievements over the years deserve to be recorded for posterity in this way. 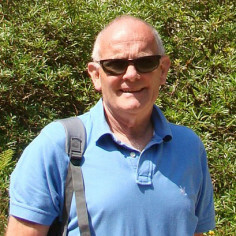 Recreation Officer and General Manager of Harlow Sportcentre 1973 to 2004. Since retiring I have become Board member of Harlow & District Sports Trust and as an NHS Non-Exec Director continue to pursue my interests in the health and wellbeing of the local community, that is of course when I can take time off from tennis, the gym and frequent holidays. As a protégé of George Torkildsen I am delighted to recall the early years of Harlow Sportcentre, the contribution it made to the UK leisure scene and its 50yr journey to Harlow Leisurezone. Jack, originally a town planner, has not managed a leisure centre (so far) but spent much of his career in local authorities and the GB Sports Council/Sport England promoting their provision through strategies, land-use planning, project development and funding. This period spanned the first round of regional and local strategies through to Lottery funding. Jack currently teaches at the University of Brighton and other recent activities include the boards of Active Sussex, (Brighton & Hove) Albion in the Community and Sussex Cricket. I was delighted to hear about this project – and relieved that the experience of a generation would not be wasted. Sports and Leisure Centres were an innovation. They changed the sporting landscape and the geography of sports provision. They encouraged a wider range of activities, required new local authority services, created a new profession and stimulated a profusion of degree and other education courses. This project will capture that history and help assess the impact of what has become standard provision. Physical Education Graduate entering the fledgling leisure industry in 1978. Worked at senior level for various local authorities in the 80’s and 90’s. Founded Freedom Leisure in 2002 and led the growth and development of one of the most progressive and successful new wave leisure trusts in the UK until retirement in 2013. Delighted to support this important project reviewing the development of the public leisure industry over the past 50 years. Proud I made some minor contribution to the overall growth and changes in leisure provision which richly deserve to be celebrated. Over 20 years experience managing, developing and constructing leisure facilities with London and SE local authorities. Currently Head of Leisure & Sustainability at Mid Sussex District Council. This essential source of expertise and experience will provide future generations of leisure managers with access to extensive information gathered together in one central location. It will enable industry best practice and lessons learned from generations of leisure officers to be shared to promote continuous improvement in the future provision of leisure facilities. Chairman, Caterleisure Group. He formed his company in the late 70’s and called it Caterleisure Limited to offer catering, bars & function catering in sports centres and swimming pools. His very first contract was with Worthing Library. Caterleisure operated in numerous sports centres up and down the country for several decades. Marketplace changes mean their contracts now lie away from sports centres. My long association with sports centres means that I am very pleased to support the legacy project to record the story of the UK sports centre. Sports centres were integral to our operation for four decades and I was able to see at close hand how valuable they are to their local communities. I wish the project well! 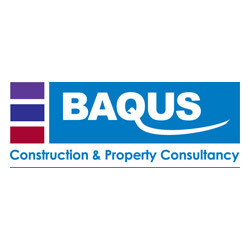 Clive is former Chairman of BAQUS Construction and Property Consultancy (previously Boxall Sayer and Alex Sayer). He has wide experience of managing leisure projects and helping clients (for whom a project may be their first or even only one) through the minefield of choosing architects, engineers, designers and contractors and then seeing that the works are properly overseen and delivered. This is an important resource to celebrate the progress made in public sports provision over the past half century. I have been pleased to play a tiny part acting as Project and Cost Manager for many schemes helping inexperienced clients to steer a way through the complexities of building design and construction contracts and getting the best they can from their limited funds. The real pleasure comes in seeing users enjoy the new facilities. 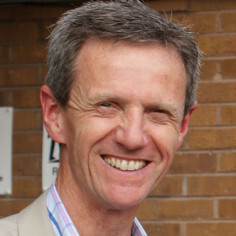 John is the former Chief Executive of Inspire Leisure, a multi-functional IPS, and was an early Chair of the South-East Region of CIMSPA as a Chartered Fellow. Under John’s guidance, Inspire traded very successfully as a Social Enterprise for 10 years. 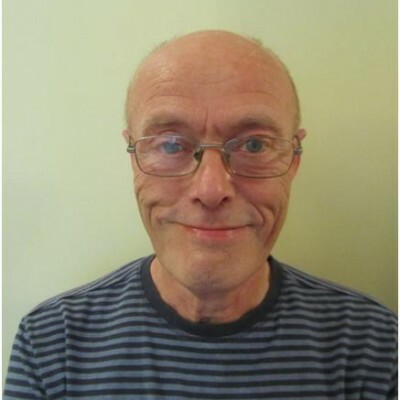 John’s first job involved working for Arun DC, undertaking playground research, as part of his DMS (Rec), under the guidance of Gwynne Griffiths and Tony Veal. My first Leisure ‘book’ was George Torkildsen’s Leisure and Recreation Management and one of my first study visits was to the Michael Sobell Sports Centre in Islington which is now 40 years old. The old Sports Council even had slogans such as ‘Ever thought of Sport’. The principles may not have changed but the customers certainly have and many are older as ‘Over 50’ – ‘used to be old’. Head of Partnership Services, Crawley Borough Council. Previously Head of Community Services. I have worked in community sport and leisure provision for more than 20 years. Since 2003, I have had the opportunity to project manage the provision of a range of new sport and leisure facilities in Crawley. 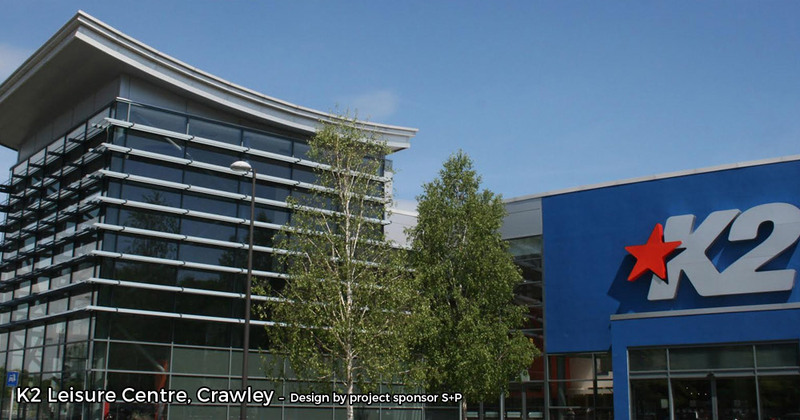 These include K2 Crawley, two dual use sports centres and a number of related facilities including Crawley Skate Park and 3G pitches. These facilities have made a significant difference to local participation as well as to perceptions of the town from residents and visitors alike. I am delighted to share this experience as part of the Sports Leisure Legacy Project. Arun District Council (trainee Manager); Hull City Council (District Manager); Kielder Tourism Development Action Programme; Nottingham City Council; Audit Commission and currently Franchisee for Tatty Bumpkin (yoga inspired movement classes for young babies and children). I was privileged to be involved in the opening of 2 brand new leisure centres in the early eighties in Gateshead and Littlehampton. I felt part of a new era at the time under experienced leadership. This project will help chart the developments and progress of such projects and hopefully inspire a future generation of innovators. David had team responsibilities for the management of iconic and innovative leisure centres – Sobell Centre in Islington, and the Leatherhead Leisure Centre. 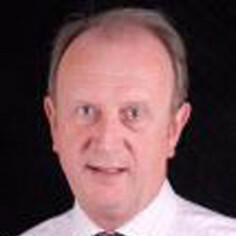 David joined Roger Quinton Associates in leisure management consultancy and has advised public and private sector organisations in the feasibility and financial planning of sports and leisure facilities for some 20 years, including 16 years as Managing Director of RQA Ltd. – a commitment to ‘legacy’ and quality provision that continues today. This is an excellent and inspirational project, focusing on and recording the development, evolution and management of community sports and leisure centres. 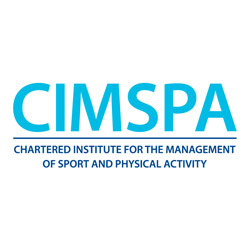 It documents what was the foundation for current and future practice in provision for sport and physical activity, through its pioneers and leaders, buildings, programmes and overall legacy. A great concept that needs to be recorded – a point of reference and learning for students, practitioners (and politicians! ), now and in the future! 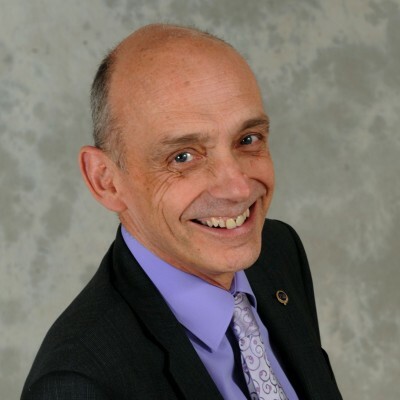 Managing Director of SGM Graham Ltd since 2004, supporting leisure and sports clients in areas of operational management, management development, customer service and personal effectiveness. L&R Leisure from 1986 – 1998 and was responsible for designing and delivering training and development solutions for sports and leisure clients. Currently a director of North Strafford Hockey Club. I am pleased to lend my support to the project from my experience of management development and training with sports & leisure staff over the years. I appreciate how centre management has changed and developed over the years. I hope the story of 6 decades of centres will help future management. 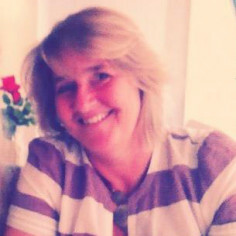 Diane Bagley: Head of Sport & Community Development for Serco Leisure. 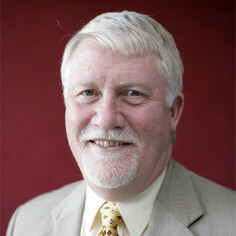 Worked previously for Eastbourne BC – a key player in 1989 in opening the Sovereign Centre; General Manager for 3 years. Then managed leisure services for the Council – instrumental in setting up Eastbourne Leisure Trust, which has successfully managed the Sovereign Centre since 2004. Through a tendered sub-contract to SERCO Leisure, the Trust was first of its type in the country and re-invests any surplus into the broader leisure landscape with the Borough. 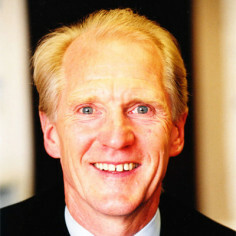 Hugh Graham: Chairman, Eastbourne Leisure Trust since 2004. 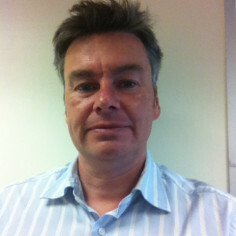 Hugh has worked across health and leisure services since 1981 and has 30 years of management experience in Eastbourne. Diane and Hugh (Eastbourne Leisure Trust) are delighted to support the Sports Leisure legacy project and look forward to being able to contribute further as the project develops. From teaching I joined the new executive Sports Council in 1972 as it set out on its Sport for All mission. These were influential times in the creation of a leisure management profession with the Sports Council playing its part using its influence (and modest grant resources) to encourage the spread of indoor sports facilities. 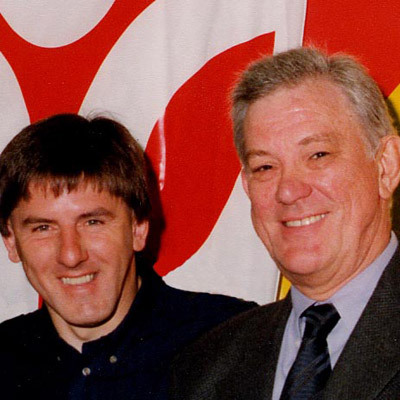 It was my good fortune to work with John Birch in the Sports Council’s London & South East regional team before transferring to the South West team and retiring as Regional Director in 1996. If I’m to be remembered for anything in my contribution to the leisure revolution I’d like to think it is in spreading the practices of dual use and joint provision. Many of us featured in this project will remember Jimmy Munn, late of Nottinghamshire and Gwent, who was instrumental in showing how, with goodwill and planning, so many schools are able to provide attractive sports spaces and opportunities for the whole community to enjoy. This is a theme which I used in my Sports Council status to promote with Government, with Local Authorities and in various local settings. As with revolutions it all seems such “old hat “now! My sports centre journey started in 1973 at the former Guildford Sports Centre, then via Southsea running Europe’s largest outdoor roller skating rink to the award-winning Walnuts Sports Centre. My favourite role was as Recreation Manager Picketts Lock Leisure Centre, part of the Lea Valley Regional Park. In 1984 I joined the Sands Centre in Carlisle, a new type of hybrid facility for both sport and entertainment. 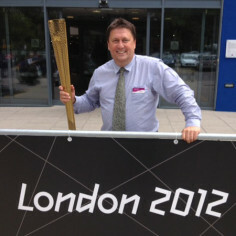 My leisure centre journey concluded as an area manager with special focus as General Manager at Farnham Sports Centre. David is Chairman of Farnham Sports Council, on the Board of Surrey Sport, Director of Surrey Playing Fields and a trustee on the Surrey Cricket Board. We are fortunate to work in a sporting environment where our customers relish their leisure time. Local authorities have committed significant resources to non-statutory centre provision. Though I enjoyed the creative, exciting and expanding world of sports centres, I have a lot of respect for many of today’s managers. They often have to be more multi-skilled than their predecessors, and business pressure are more sophisticated. One thing has always been clear – widely accessible and well managed sports centres are vital to the well-being of local communities. I therefore wholeheartedly support this project.  A B.Ed trained PE teacher; Assistant Manager & Manager at Redbridge Sports Centre Trust 1977 – 1985; Managing Director, Coventry Racquet Centre 1985 – 1995; Manager, Warwickshire Racquets & Health Club 1995 – 2000; Senior Trainer Impact Training 2000 – 2002; Founder & Director Connect Training & Coaching Ltd 2002 – Present. As someone who trains & coaches managers at various levels in a range of industries, I still find it strange to look back to a time when I was given the responsibility to manage a leisure complex with a team of staff and a significant budget, when I had no formal management training and was just 24 years old – great experience though! 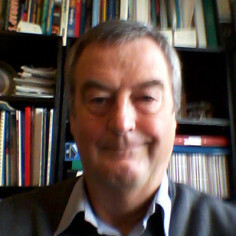 I currently work with Tony Ploszajski as Director of Ploszajski Lynch Consulting Ltd. Previously I worked in consultancy with such stars as Richard Tibbott and George Torkildsen. My operational management experience was as manager of Keynsham Leisure Centre and with Halton and Gillingham Councils. I was secretary of the South West Region of the Association of Recreation Managers before the mergers which created ILAM/ISPAL etc. 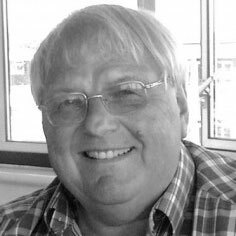 Currently coming to the end of my 53rd season of competitive cricket and I am a director of the Essex County Cricket Board. I was one of the second generation of leisure managers starting work in Runcorn new town in 1974. (You know you are getting on when the centre you helped open has now been demolished.) We began to write the story and to establish best practice in the leisure management profession which has come to full maturity today. Lots of stories to tell of people, places and projects across the years. Trained as a physical education teacher at Loughborough. After teaching entered sports centre management at the Lightfoot Sports Centre in 1971, then Manager at Stretford Sports Centre; Management of Concordia and Blyth Sports Centre followed, on their own and later as part of a wider range of public leisure and amenity services as Borough Recreation Manager. Now retired I swim, drive and collect old toys! As an early manager and director and former President of the Institute of Leisure and Amenity Management (ILAM) I am pleased to support and contribute to the story of the UK sports centre. As a ‘parkie’ my introduction to leisure management came as Deputy Director of Parks and Recreation with Brighton BC. As Director of Environment and Leisure I worked with Ken Dunbar on the design, build and management of the Tandridge Leisure Centre. As Chief Executive in Caradon I oversaw the building of the Saltash Leisure Centre and the outsourcing of the management of the Council’s leisure facilities. Then full circle as a consultant with West Somerset I helped the Council reach the difficult decision to close and demolish a redundant leisure centre in Minehead. I am delighted to support the recording of the legacy of leisure management. As the last chairman of the NE branch of the old IPRA I am old enough to remember the coming together of the various leisure institutes under the ILAM umbrella and the tensions that had to be managed at the time. 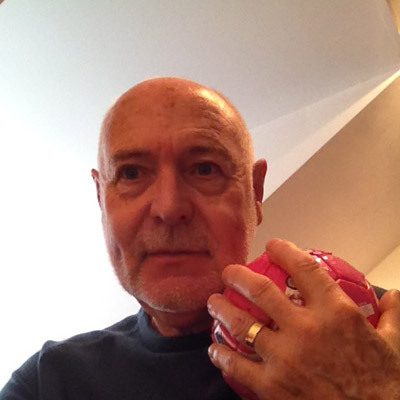 Trained as a PE Teacher at Loughborough in the late 60s and MSc in Leisure Management in 1975. After a year as a consultant with Loughborough University, managed the Melton Mowbray Sports/Arts Centre in 1976. Managed several recreation and leisure departments including both Oxford and Cambridge City Councils. Involved since 1986 with the World Leisure Organisation in a variety of roles. Moved into management consultancy first with Coopers & Lybrand then Strategic Leisure in 1988. Has run his own management consultancy since 1999. Now serving as a trustee on two leisure trusts and motor-homing in Europe whenever possible. Retired if allowed to be! As one of the early Loughborough cohort of leisure managers who started in Physical Education and went on to spend their career in this fascinating sector, I fully support this project. It is important that current and future colleagues understand how the profession developed and how it has changed over the decades. Our experiences, successes and failures should be shared through this project. 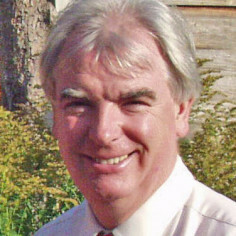 Chief Executive of Redbridge Sports Centre Trust Ltd, an independent charitable trust founded in 1972. Following the loss of Redbridge and Ilford Tennis Club ground in 1968, club members, led by Chairman Norman Booth, began to plan, fund raise and build a new sports centre. Opened in March 1972, the centre continued to develop through multiple phases, culminating in its selection as a Games-Time Training Venue for the London 2012 Olympic and Paralympic Games. Having worked in Sport and Leisure for over 30 years I have had the privilege of experiencing first-hand, the enormous ability that sport has to break down barriers and deliver benefits to the community. We owe a huge debt of gratitude to those pioneers who recognised an opportunity to make a difference. Their vision was backed up by action as they began to lay the foundations of an industry which would have such a positive impact on people’s lives. 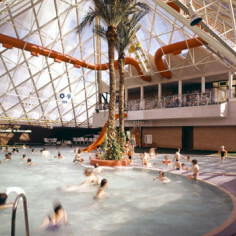 Was at the birth of the community sports centre and, with FaulknerBrowns Architects, progressed the design of sports and leisure facilities through pioneering projects such as the Lightfoot Sports Centre on Tyneside (1963), Bletchley Leisure Centre (1973), the Shetland Phenomenon (1982-2002) and Ponds Forge International sports and Community Centre (1991). Bill retired as a partner in 2003 but retains strong links with FaulknerBrown, is a pro-active member of the International Union of Architects Sports & Leisure Committee and a Member of Honour of IAKS, the international sports and management association. Having breathed the design air of sport and leisure since starting my career as an architect in 1961 with Harry Faulkner-Brown, I very much support your initiative to tell the story of the 50 pioneering years. It is a tale rich in ideas and hard graft with an early realisation of the supreme role of the manager who is, in effect, the Lewis Hamilton driving our McLarens – and occasionally, Reliant Robins – to success or otherwise. Principal Manager, Arun District Council Leisure Services (1978-1985), Town Clerk, East Grinstead Town Council (1985-2011) and Principal, Chris Rolley Associates (2011-Present). As someone actively involved in public sector leisure provision for over 30 years, including 25 years at a tertiary level, I congratulate the Sports and Leisure Legacy project team on producing such a valuable resource. This will ensure that the professional contributions of so many inspirational pioneers are properly documented, and will serve as a lasting testament to their work and achievements. Started in Leisure Management in 1973 with the Lee Valley Regional Park Authority, working alongside Roger Quinton. 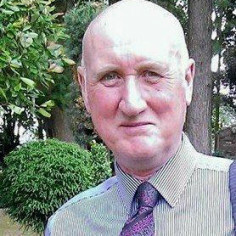 After a short spell as Recreation Manager with Erewash Borough Council, moved to Middlesbrough in 1980 and finished his local government career in 1995 as Chief Leisure Services Officer. For the next fourteen years, he ran a successful arts management consultancy. 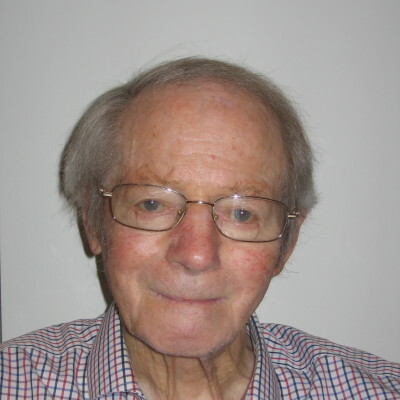 He is a past President of ILAM and became an Honorary Fellow in 1997. More recently, he has been elected as a Companion of the Chartered Institute for the Management of Sport and Physical Activity (CIMPSA). 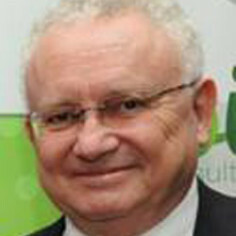 He is currently Chair of Tees Active Ltd. I am pleased to be associated with this important and ambitious project. Leisure Management has come a long way from the early days and it is important that we recognise and remember its roots, and the pioneering influences that laid such firm foundations. Trained in PE at Loughborough 1965-8, alongside other listed on the site. Taught in Surrey then Head of Department in a large boys school in the Medway Towns. Relocated to a Mixed Community College in West Sussex as HoD with responsibility for liaison on shared use of the on-site Arun Leisure Centre, jointly provided by ADC and WSCC. Now happily retired from work and goalkeeping! As someone who stayed as long as he could in the Education sector my eventual experience with Leisure Centres was far too brief but very rewarding. School use of such good facilities was of great benefit to our pupils and the school curriculum. 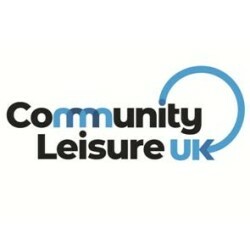 Worked in Joint Provision leisure centres in Newark, Lincoln and Nottingham before working in leisure departments in the London Boroughs of Hackney and Southwark. 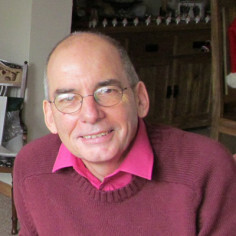 Self-employment has enabled him to lecture, carry out consultancy projects, to work as Policy Director of the South East Regional Sports Board, and to chair a private leisure trust in Essex. Currently on the Board of Trustees of his local leisure trust. Having spent so much time managing and assisting sports & leisure centres, I am very pleased to support ‘Harlow to K2 and Beyond’. The Legacy Project will ensure that the foundations and progress of such centres will not be forgotten. The Legacy Project is an excellent idea and concept. I know the story is broad, having seen community recreation development in a professional football club; sports centre provision in South Wales; the leisure pool ‘craze’; the Small Recreation Centre schemes; and even taken part in the early DMS tours of the North East and continent! Sport NI Facilities Officer, later as Director of Facilities and Funding and Director of Lottery, finally a Board Member. “Founding” member (1971) of the NI Region of the ARM and represented NI and then Ireland Region of ILAM on National Council; President 1992/93. Chair of the Belfast City Marathon for the past 15 years and involved in basketball – and golf three times a week all year round! My long association with sport has meant that, for many years, sports & leisure centres were an integral part of my work. I am very pleased that “Harlow to K2 and Beyond” will tell the story of the development of centres from the very beginning. 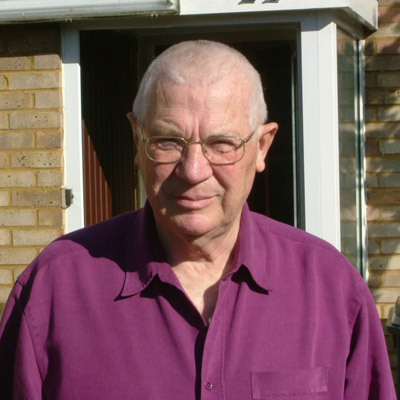 Mike left his native North London to study Town & Country Planning at Manchester University (1966-1970). His first post (1970-1975) was with the newly established Research and Planning Unit of the Greater London & South East Sports Council at County Hall. Virtually his first task was to collate published information on indoor sports centres – it took about 2 days!! 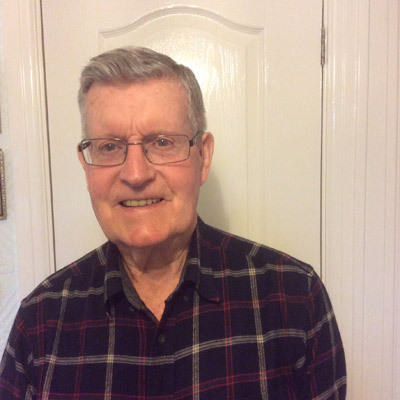 In 1975 he moved to a similar post with the North West Sports Council in Manchester, where for the next 17 years he was responsible for producing an extensive range of research and policy documents both for the region and for The Sports Council nationally. 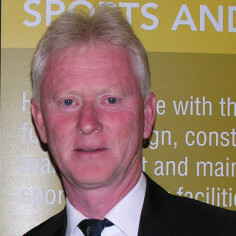 In 1992 he moved sideways to become a Senior Regional Officer of The Sports Council in Manchester, leading the Facilities Team in a wide remit across the region. My children, and now grandchildren, take for granted their easy access to several indoor sports centres and swimming pools, and likewise many other facilities, such as forest trails on which to ride their bikes. But it was not always thus, and it is important that we do not forget. Without wishing to lapse into clichés, the growth of active leisure, and provision for it, was possibly the most significant social trend of the last quarter of the 20th Century. The Sports Leisure Legacy Project is an inspired attempt to document a key part of this trend from the perspective of those most intimately involved, and I am delighted to be able to assist. As a massive by-product my involvement has helped to re-kindle friendships with some great pros. The achievements of those who were responsible for the development of these facilities – the numerous elected members, administrators, architects and managers who have created over a thousand joint projects – are a matter of celebration. What better time for this than around the golden anniversary of the Harlow Sports Centre. 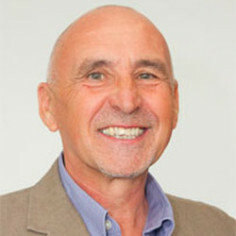 Hywel started in leisure management at the Sobell Centre in Islington in 1974. Unlike most of his contemporaries he hadn’t had a “proper job” before. He was fortunate to work with Harry Littlewood in the Sports Council’s Facilities Unit on facilities planning and the management award among other things. He then worked with John Birch at the Greater London and South East Region before joining local government. He started as an assistant director in an Inner London borough and became a Director at a South Coast authority before leaving to spend time as a consultant working mainly for RQA and SOLACE. 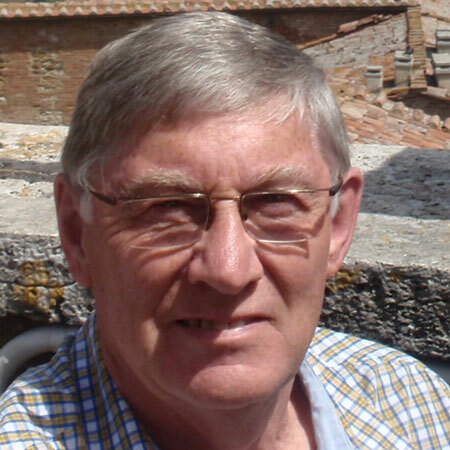 He retired in 2014 but maintains many friends and contacts in the industry, particularly in his role as secretary to the Sussex Leisure Officers Golf Society. I was honoured to be invited to join the Editorial Board of the Sports Leisure Legacy Project as I feel it is vital that the contribution of sports centres and the leisure management profession is remembered and celebrated for its contribution to the well-being of our society and for their influence on expanding participation in sport, particularly in the latter part of the 20th Century. 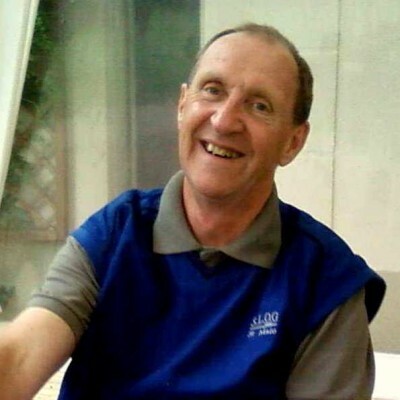 With an HND in Hotel & Catering Peter’s first job in Leisure was as Assistant Catering Manager at Pickett’s Lock Leisure Centre when Roger Quinton was Assistant Recreation Manager. He progressed to Catering & Entertainments Manager at the Stour Centre in Ashford and then Concordia Leisure Centre in Northumberland. 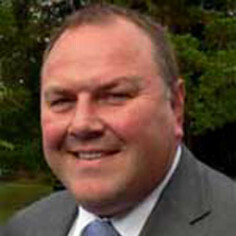 Via Pontypool and Cwmbran as an area manager he moved onto Caterleisure as North-East Regional Manager in 1981. Caterleisure expanded into theatres, museums, bus and railway stations and international airports and Peter became Managing Director. In 1994 Peter left to become Chief Catering Officer for Leeds City Council. 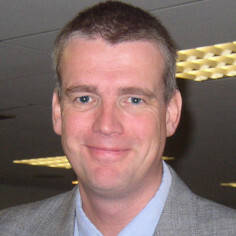 In 1996 he joined RQA Ltd as its Principal Catering Consultant. It has been a privilege to successfully deliver hospitality with those at the top of the leisure industry from the early 1970s through to the current day. It has also been fascinating being directly involved with and watching leisure hospitality evolve over the decades. It has developed significantly (better!) from the very early days when clients were asking for waitress service restaurants and five a side football players would down two pints of orange squash and 5 or 6 pints of lager and then drive home! 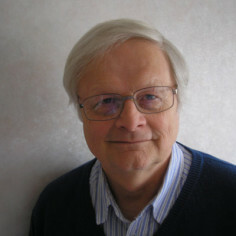 John trained at St John’s College, York and North London Polytechnic. He worked at Redbridge Sports Centre Trust Ltd, North Devon District Council, The Sports Council and Worthing and Adur Councils, finally as Executive Head of Leisure and Cultural Services. The latter involved amalgamating two district council leisure departments under joint working arrangements. He saw the many changes in the way services were delivered and witnessed the changing priorities of Governments and Councillors. He led responses to CCT, Best Value and Comprehensive Performance Assessment and saw the relentless drive towards externalisation of ‘discretionary’ services. I am pleased to play a part in documenting the social change brought about in particular by leisure centre design and development over the 35 year period that I worked in the industry. Bill’s life has been devoted to sport on and off the field. Losing 1951 FA Cup finalist for Blackpool. Played for Great Britain at the Helsinki Olympics in 1952 and joined Wolverhampton Wanderers until 1963. 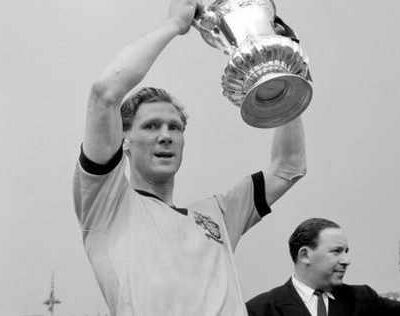 Won three Football League Championships and captained Wolves to win the FA Cup in 1960. Voted Footballer of the Year that year and won 12 caps for England (including four in the 1958 World Cup). The last amateur to play for England and play in a Wembley Cup Final. Deputy Director of the Crystal Palace Sports Centre then Director of Physical Education at Liverpool University and then Birmingham University and was elected on to the Sports Council from 1974. From 1984-89 he was Director of National Services, the Sports Council, and from 1989-2000 was President of the British Amateur Gymnastics Association. Awarded an OBE and later CBE for his services to sport. His daughter Barbara was an Olympic gymnast, representing Great Britain at Montreal in 1976. She later joined the BBC, and in 2009 was appointed Head of BBC Sport. Bill and Barbara have been advised of the Project and the recording of the early days of sports centres, of which Bill was a part.